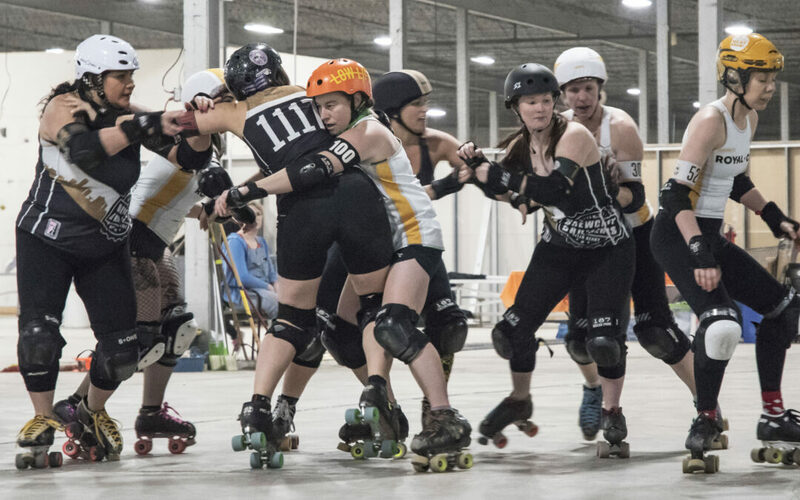 On March 2nd and 3rd in Bloomington, Indiana, Royal City Roller Derby’s Rum Rollers competed against seven teams from five different states in the annual B Cup tournament. It was hosted by Bloomington’s own Bleeding Heartland Roller Derby. Our Rum Rollers took one game to find their legs, losing to the Brew City Bruisers of Milwaukee, Wisconsin 197-112. However, they turned things around in the second game, scoring a massive 245-132 over Dayton, Ohio’s Gem City Roller Derby. Their final game ended the tournament on a positive note, they took home a 187-129 victory over Nashville Roller Derby of Tennessee. 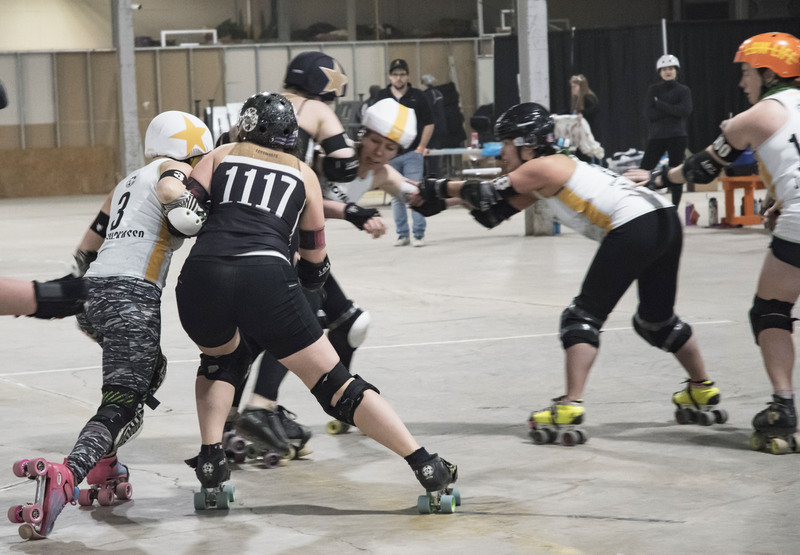 The Rum Rollers welcomed many new skaters to their ranks in January, 2019, including rookie jammer, Olivia’s Wild. She shares her positivity and true enjoyment of her newfound team. 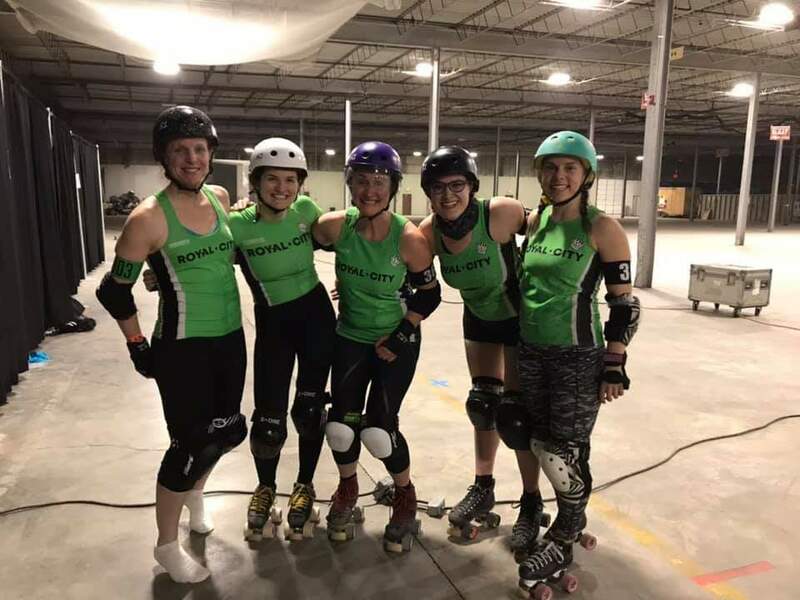 The Rum Rollers will be rolling into Grand Rapids, Michigan on March 23rd along with Royal City Roller Derby’s charter team, the Bruteleggers. The Rum Rollers will be facing the Grand Raggidy Attack and the Bruteleggers compete against the Grand Raggidy Allstars.